Pacifica, SoCal Novice Champions. Left-to-right: Shelly Albaum (tenor), Earl Gauger (lead), Richard Lewellen (bass), Steve Schlussel (baritone). 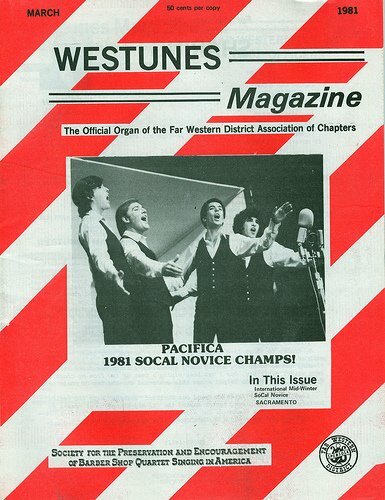 Pacifica went on to become Far Western District Champions in 1982, with new baritone Steve Barclay. This page was last modified on 1 December 2008, at 15:05.